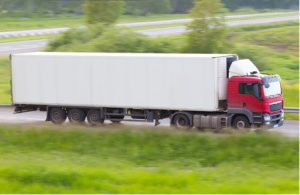 Safety Tips | Platinum Drivers Inc.
Truck drivers need to stay hydrated, especially during the summer months when outside temperatures can climb above 90, and in some locales 100 or 110. Our bodies thrive on water. Without it, we die. Our cells, tissues and organs must have water to function properly, so it’s no wonder that water makes up more than half of our body weight. Keep in mind that the body regulates itself, so we sweat. We lose water when we go to the bathroom. We even lose it just by breathing. Therefore, we need to stay hydrated, taking in water to make sure our systems are operating at optimal levels– especially while driving a big rig on the roads and highways of America. If your urine is darker than usual, or you are producing little or no urine, you could be dehydrated. Also, people tend to get dry mouth, headaches and feel fatigued when they’re not drinking enough water. Other symptoms of dehydration can include extreme thirst (obviously), dizziness, and confusion. Carry a water bottle with you during the summer so you have easy access to water. Stop at truck stops to refill your water bottle using their drinking fountains. Buy bottled water if you want to. In general, the goal is to drink up to 8 glasses of water per day in order to stay well hydrated. Try having water with every meal so you get in the habit of refreshing your body each time you eat. Thank goodness for air conditioning and shady spots, right? And, of course, we’re all fortunate that water is abundant and widely available these days– which might not always be the case. For now, any chance you get to drink some water, take it– it does a body good. What’s the difference between a pre-employment and post-accident drug test?